Hi Rohit369, a few follow up qns: a) Do you get your mexican visa the same day you visited the consulate? b) for travel to TJ and back, could we consider taking a rental car from San Diego? Or can you comment on the safety/security in TJ and at the border, if a girl has to take cabs, wait at the border line etc. Thank you! Hello, I have to make an emergency trip to Bombay as my dad has undergone major surgery. But with the US consulate in Bombay or other cities in india don't have an availability until Aug 2016, and I'm not sure if they will consider this as an emergency appt if I request for one. So leaving that as an option on the table, I was looking into getting my H1B visa stamped either in Dubai or Tijuana (mexico), where the wait is no more than 2-3 days. For the group my question is can I have 2 DS-160s filled one for Bombay and one for Dubai/Tijuana? Or if I filled and submitted one for Bombay, and later decide to go another US consulate, can my DS-160 considered transferrable or will it be void? Appreciate any input/feedback provided. Thank you! Hi, I've been working with a startup (Company A) for the last 8 years at Location A. Last year the startup got acquired by Company B. Company B has its US headquarters based in Location B, which is in a different state from Location A. Having said that, i'm on an H-1B visa which expires April 28th, 2016 and I have an approved I-797 A for the next 3 years, since I had an approved I-140 at the time of H-1B renewal. For my PERM, LC was filed under Company A (EB-2), but with the acquisition company B filed as successor of interest and filed by I-140 (approval received Nov 2015). Priority date Dec 2013. a) I'm considering a new opportunity at Location B, and would like to know how does the change of location impact both PERM and H-1B filing considering the job profile is similar? b) How does the change of location impact PERM and H-1B if the job profile is different? c) If an H-1B amendment has to be filed for location B, will that void the 3 year extension that I originally received? (assumption here is PERM process needs to be redone) d) Re-filing and approval of H-1B is needed prior to starting work at Location B? or is it only re-filing must be done? d) If my current PERM will be void and will have to start over, do I retain my priority date(PD)? e) If the answer to the above question is no, is the expectation that until your PD becomes current which is now a 10+ year wait, employee has to stay put not only on the job profile but the location as well? Appreciate any input the group members can provide at the earliest. Thank you!! Hello All, I've been working with Company A for 4.5 yrs and H1B expires Sept 2014. My PERM LC process will be starting soon. 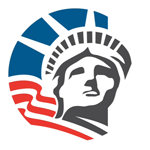 Questions: (a) If my PERM LC gets filed 365 days before the end of my H1B (Sept 21, 2014), is it possible for me to switch companies after this, knowing that my PERM LC would have to be re-submitted with the new company? Would my priority date be retained based on the PERM appn or should I-140 be approved for that? (b) What is the application fees to USCIS for recapturing time on a 6 yr H1B? And if were to leave the country during that recatpured time, do we have to get a H1B stamp before entering the country? Thank you in advance for your help.